One of the things that my husband and I have spent some time thinking about are what kind of diapers we should use. This seems like such a silly debate to have...why would we spend very much time talking about this...well we want to be responsible and there has been a lot of hype about the negative affects of disposable diapers on the environment. We decided to do a little research and at least explore the idea of diaper alternatives. Since we live in LA there is no shortage of diaper services for cloth diapers and it isn't a problem to find stores that offer eco-friendly diapers, the issue of choosing an diaper alternative was not about completely about convenience. A) Is one choice more cost effective than another? 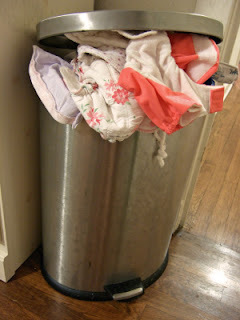 B) Do the landfill benefits of cloth diapers really out weigh the water, energy, and chemical effects of cloth diapers? 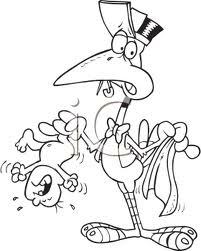 C) What kind of issues do we face with cloth diapers verses disposable diapers? D) Is one type of diaper healthier for our baby over another? E) What kind of time commitment are we making in choosing cloth diapers over disposable? The results we came across were rather surprising. Here are some of the things we found that helped us to make this diaper decision. My mother may have been the last generation that really embraced cloth diapers before the disposable diapers became so popular and accessible. My parents did not own a washer and dryer but when I was born they could only afford to buy one of the machines. They bought the dryer and made their way to the laundry mat for the washing...I understand not wanting to use your home washing machine for soiled diapers. My parents decision was mainly based on economic factors. They could not afford disposable diapers which were simply not affordable on my father's enlisted military budget. Advanced Features: Since my birth their have been many advances in the world of cloth diapers. There are new and improved ways to make cotton absorbent and they have created liners that help control the "flow of waste". 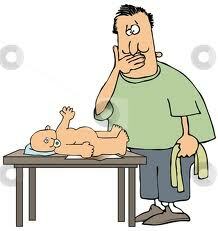 In big cities there are several diaper washing services available if you do not wish to wash the diapers yourself. It is reported that children who use cloth diapers have less diaper rash, this may be that the children are more aware of the wetness against their skin and cry sooner. The downside of cloth diapers is that they still hold less liquid and therefore need to be changed more frequently. The upside to cloth diapers is that children who use them tend to potty train earlier because they are more aware of the wetness they experience in connection to the sensation they feel to go potty. Environmental Impact: The impact of a disposable diaper on the environment was the main reason for considering cloth diapers. So are they really better for the environment? Interestingly enough there are two schools of thoughts on whether or not they are truly better for the environment. The main argument made in favor of cloth diapers is that they do not have plastic components which do not biodegrade. The creation of a cloth diaper does not cause deforestation or pollute the air as a byproduct of creating them. Since they are made from cotton you can also buy organic materials which are still better for the environment. Cloth diapers are the most you can reuse and recycle. The questions is do they really reduce? They reduce the amount of product in landfills, they reduce the number of trees cut down, and they are cleaner for the air because they do not require plastic. However, they do require water to be rinsed, soaked and washed. They also require harsh chemicals for sanitation and electricity (or natural gas depending on your machines system) to complete the cleaning cycle. The larger the load the more energy efficient you can be but in addition to the water and energy used just to clean the diapers there is also the energy cost to process and clean the water soiled by the cleaning process. The benefit to this process is that waste that goes into the water from the dirty diaper and the dirty water is correctly processed rather then dumped and left unprocessed in a landfill. In some cases the water can also be reclaimed but this is not as widely practiced as one might think because of human health concerns. If you choose to use a diaper service there is also the fuel and air pollution factors to consider. The truck delivery truck will require gas and will have to sit in traffic, this will not only negatively impact the air in CA but also the traffic. Special Environmental Concerns: In CA we have some special environmental considerations due to our desert climate. There is a water shortage in CA and we depend on aqueducts for our water and in many cities can only water our lawns on certain days and for strict time limits. In the summer we face an energy shortage due to the need for air conditioning. During the summer months we are asked to flex our power, which means that are asked not to use major appliances until after 7pm. When I consider this I can foresee a diaper crisis in the middle of a hot summer day. This is bound to happen regardless of how well I may time manage. To be a responsible, Earth-friendly citizen I also have to consider these factors. What about cost? In our research we found that with a diaper service they rank about 4th place for cost effectiveness. Although the price of the service does not change much over time you will need them, they are slightly more expensive in the long run. In our area a diaper service picks up once a week, 80 diapers for $20 a week. A diaper service also requires higher start up costs because you have to purchase the diapers and or shells/covers. You may also need to buy replacement diapers and or shells/covers as they wear out or your child grows. Even if you launder the diapers yourself you are going to have the same higher start up costs and replacement costs as the child grows but you also have higher energy costs (gas and electricity) and materials (detergent and bleach). My husband also pointed out that washers and dryers are not cheap. The baby will already add to the wear and tear on our washing machine and dryer but cleaning diapers at home will increase the use of these expensive machines. Lets not forget the time factor: Although I am not planning on returning to work for a few of years after our son is born there are still management issues with a new baby. I know we have all heard the argument that housewives work and I agree if you put a monetary value on the care your provide to your home, children, and husband you might be surprised at what your services are worth in the work force. I am blessed to have a husband who values my time and contributions to our family that being said, lets put a monetary value on your time, you can calculate that one load of diapers takes a minimum of 2 hours to process (soak, wash, dry, fold). You may find yourself doing 2-5 loads a week. You are then spending 4-10 hours just washing and caring for diapers...at wage of $9.00 an hour (minimum wage in CA) that is $36-90 a week in labor not to mention washing materials and energy costs. 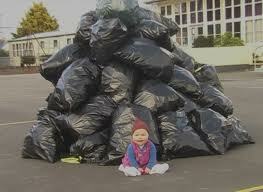 The "green" people of the world will tell you that disposable diapers are one of the great banes of our Earth. There is a definite convenience factor when it comes to disposable diapers. They offer leakage protection that can not be argued. They hold more liquids and waste then cloth diapers. They require no special cleaning or schedule to follow (cloth diapers picked up by a service must be ready and out on time or you must also carve out the time to wash them if you do it yourself). It is, however, reported that more children get diaper rash with disposable diapers but babies with colic are reported to be less irritated and fussy because they are not bothered by a wet diaper as often. Public Health Concerns: If you are planning on putting your child in daycare or even in the nursery at church there are health concerns with cloth diapers that requires children wear disposable diapers. The reason for this is simple, disposable diapers hold in the bacteria and waste better and they are thrown away rather than contained until washing. Disposable diapers are cleaner from a public health standpoint. With disposable diapers you do not have to revisit the poop so that you can clean the diaper or have to soak and wash the diaper. They are thrown away and not messed with again. Best of all, you do not have to worry about running out of diapers. Sure you can forget to buy them but a quick trip to an all night drugstore and you are no longer in serious doo-doo...sorry couldn't help myself. Impact to the environment: The negative impact to the environment is undeniable. Opinions seem to differ on the length of time a plastic diaper spends in a landfill. Some studies say 200 years some say 500 years. 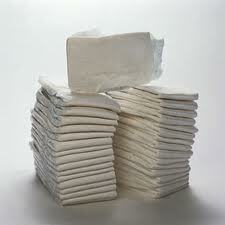 Disposable diapers are made of plastic and paper. They are destructive to create and destructive to throw away. The plastic and inks used are toxic to create and have difficulty returning to the earth. The paper used to make them causes deforestation and some say adds to the carbon dioxide levels in the air. They also create a human waste processing problem in landfills which can cause water and ground contamination. Mainly because human waste is not being treated properly when the diaper goes to the landfill. Diaper companies are trying to make diapers that are made from recycled material, organic material, and materials that biodegrade better. Advances have been slow but some companies like Huggies are trying. However, there are not enough consumers to create a big enough demand to make the companies feel the squeeze to create better alternatives faster. Cost Effectiveness: The cost of disposable diapers is awesome when compared to other alternatives. They are not only easier they are also cheaper. When my husband did a spread sheet of diaper costs (he didn't include wipes) disposable diapers were the most cost effective by far. If you have time or budget concerns disposable diapers are the only logical choice. Disposable diapers can also be price compared and you can be a savvy shopper by using coupons and bulk rates to save even more on them. Major diaper companies also offer rewards programs that help you save by sending you special coupons and rewarding your loyalty. Disposable diapers honestly make cloth diapers look like a luxury. First of all let me say that eco-friendly diapers are still disposable diapers. They are made in a way that reduces the materials needed to create them and in turn are better for the environment. In some cases they also biodegrade better. There seems to be some complaint that they are not as absorbent as regular disposable diapers. They do offer the same conveniences to parents and they are perfectly acceptable at daycare and nurseries. The two companies that seem to be a leader in eco-friendly disposable diapers is Huggies Pure and Natural and Seventh Generation. The Huggies Pure and Natural diapers are made from organic cotton, renewable materials and less ink. The liner of the diaper is recyclable. They are slightly more expensive than plastic disposable diapers but are better for the environment. Online ratings for these diapers are excellent and many people comment that they are super soft and hold the leaks in as well as plastic diapers. The Seventh Generation Diapers are Free of chlorine processing, fragrances, latex, and petroleum based lotions. They are more expensive than Huggies Pure and Natural by a dollar or two. They are also a little harder to find but are sold at Target. The online ratings for these diapers are not as favorable as their competitor listed above. Cost Effectiveness: When it comes to cost these diapers rank in 3rd and 5th in cost effectiveness. They do cost a little more to buy and in some cases they may be harder to find. They are still better in price than cloth diapers. If you are concerned about the environment and would like to encourage larger diaper companies to keep developing this type of technology the slightly extra cost may be worth it to you. At this time it is worth it to us. They do not solve the problem of diaper pollution but at least I feel that I am taking a step in the right direction and encouraging corporate responsibility by buying them. Reusable but also Disposable Diapers!? How do they Work: With gDiapers you buy the reusable shell or cover and you can either purchase compostable liners or washable liners. i love it when a company gives me options!!! The company also claims that with the gRefill liner (disposable liner) you can household compost one wet diaper in a single compost cycle (we don't have room for a compost system at our LA town home but the idea is nice). If you choose to use the gCloth then you can wash the liners at home (see above for commentary on washing cloth diapers at home). The shell is made from soft cotton and hemp and uses Velcro that attaches at the babies back to keep them away from babies hands. Environmental Impact: The same concerns apply for these diapers as with cloth and with the disposable liner (see above). If you use the gCloth you have the washing concerns, if you use the gRefill you don't have the same landfill concerns because they are compostable but there is still the issue of human waste in the landfills. The company recommends that you flush poop rather than throw it away to reduce this concern...but ultimately it is your choice. The impact of throwing the gRefill liner away is less abrasive to the environment. The Buzz: The comments that parents have left on these diapers is that the g Refills (disposable liners) do not attach to the shell and when baby becomes more active the liners tend to bunch up and move. This leads to some awkward messes. For the most part parents seem to really like this product. Here is the chart that my husband put together to show the the cost of diapers based on type. These numbers are based on prices for our area and amazon.com bulk diaper rates. Since we knew that we were not interested in cloth diapers without a diaper service we did not go into detail with our utility costs for washing at home. For gDiapers the cost of buying the shells according to babies growth is factored in. The standard deviation is 10 diapers per week. This chart does factor in the difference in diapers for a newborn (approx. 70 a week) and diapers for a toddler (approx. 28). These numbers are based on what parents (or my husbands engineer co-workers) have reported as average use. After my husband ran the numbers and we considered all of the in's and out's of cloth diapers we felt that cloth diapers really were not the right choice for us. At first, they look like they will be cheaper but in the long run not so much. Since we are in position that we could spend a little more on an eco-friendly diaper and there are savings options available; this was our first choice. When I found gDiapers I was able to get my husband to consider them. He is willing to give gDiapers a try because he can throw the liners away. Although, the shells will need to be washed, this is an undertaking I feel okay with because I will be able to wash them in the same load as the babies soiled clothes. We are both apprehensive about messes and may change course when our son becomes more active. 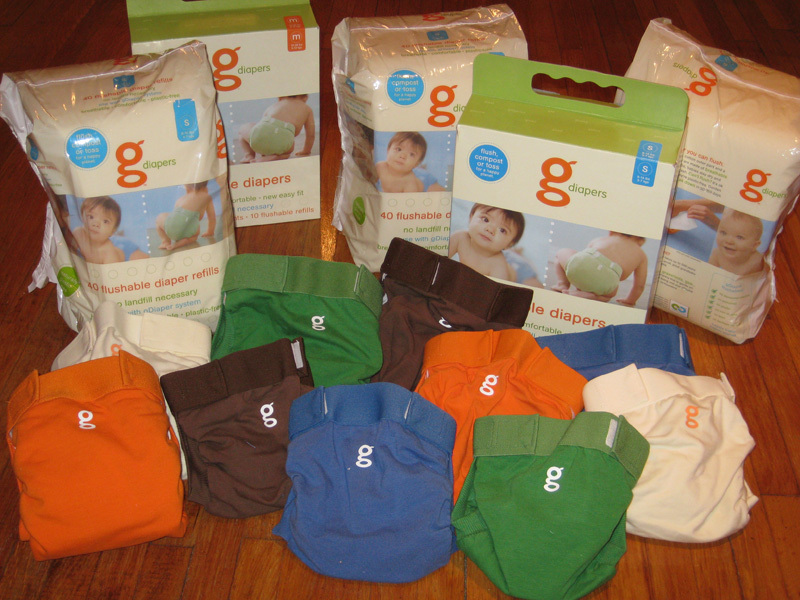 Our thoughts are that gDiapers may be more realistic for us in the very beginning and when our son is potty training. Since I already shop at Whole Foods Market for my produce I will not have to go out of my way to purchase gDiapers either. As with all things concerning children, we will give gDiapers a try (with the disposable gRefills only) but if it doesn't work we will change course and try something different. Wao! This Blog Post is very good. Visit my site: best disposable diapers.